I have a dream of someday taking my children to far off lands, but plane tickets are expensive! My husband’s work isn’t exactly portable, so that also keeps us in one spot even though I have major wanderlust. 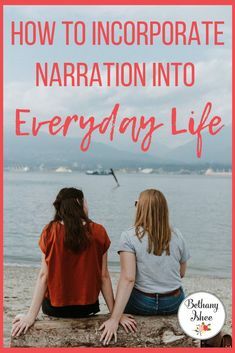 So instead, I look for ways to travel the world while staying put and a fabulous resource for worldschooling from home is Around the World Stories. The creators of Around the World Stories are worldschoolers themselves, who are currently traveling Europe with their three daughters. However, if backpacking through Europe isn’t in the cards for your family, that’s okay. Listening to their stories will introduce you to new places and exciting traditions. So why do I think Around the World Stories are so amazing? I don’t have just one reason; I have six. Let’s have a look. This post may contain affiliate links, you can find my disclosure policy here. First off, it’s because they’re educational, of course! And the knowledge comes naturally through a story, not from workbook pages and memorization. From these stories, children learn about different cultures and history. What is Bastille Day and why are tulip bulbs so prized in The Netherlands? Why is Chinese New Years not on January 1 and what do the colors of a Turkish rug represent? With so many stories based in Europe and Asia, there is something to learn from them all. However, merely being educational isn’t enough. Not only are Around the World Stories educational, but they’re also entertaining. Learning from boring material is never easy, but these delightful stories are entertaining as well. So even if your child says they hate geography, I can’t imagine they would hate these listening to these enchanting tales. They are stories of children and their exciting adventures. What’s not to love? Another fantastic benefit to these stories is their portability. Take them in the car, play them while you’re eating breakfast, or turn them on during afternoon quiet-time, whatever time you choose, they are easily accessible from your phone, computer, or other mobile devices. I would love if they had an app available, and perhaps it will be available in the future, but now I just log in to my account and choose where we will venture today. You don’t just get the story, you also get access to other resources and ideas that inspired the story. With a story from Russia, there are facts about Lenin and a video to create nesting dolls. There are also frequently books recommendations about the given country and links to their Pinterest boards with other ideas. Some stories also include crossword or word search puzzles. I love geography, but I know that isn’t true for everyone. However, these educational and entertaining stories will hopefully entice even the fiercest geography hater. How can you dislike stories of Gelato from Italy and pandas in China? History, music, art, and more are woven throughout these charming tales introducing your children to notable events and people from around the world. Around the World Stories is a perfect addition to your relaxed homeschool. I don’t spend my money on loads of curriculum, which enables me to add things like these stories to our days. These are ideally suited to your elementary aged kids, and even my 13 year old still enjoys them. When you add the additional resources they provide, it turns into a productive day of unscripted learning. When we listened to the Beijing Spy Hunt, we watched a beautiful video of a Chinese tea ceremony. Listening to The Search for the Northern Lights led to learning about the ice hotel in Sweden. They currently have available Europe (52 stories), Asia (52 stories), and Artist (6 stories) story sets and have plans for adding more in the future. I can’t wait for South America! 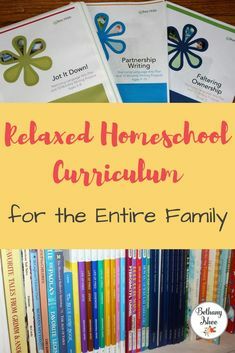 This natural weaving of ideas and information is what I love about being a relaxed homeschooler. These stories prove again that everything is connected and learning can happen anywhere. So check out Around the World Stories, they will be a valuable and enjoyable addition to your life of learning.